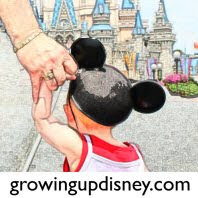 Growing Up Disney: Guest Post: Waiting in Lines? There’s An App For That! 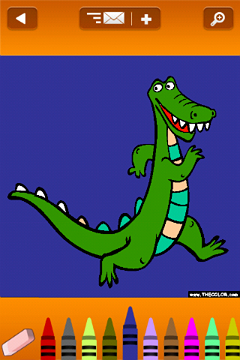 Guest Post: Waiting in Lines? There’s An App For That! There’s nothing more magical than watching your son’s face light up when he sees his favorite character (Tigger, for the record) for the first time. But there’s nothing less magical than listening to that positively grating whine he makes when we’ve been waiting in line too long. 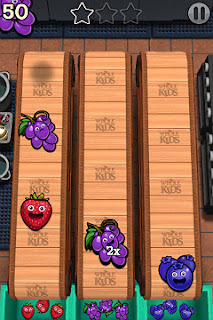 Created by Whole Kids (a foundation established by Whole Foods to improve nutrition), I like this because it is free of ads. My son likes it because it appeals to the OCD in him. (My fault.) The load times are a little bit slow, but once the game gets going, though, he loves swiping the vegetables into their proper bins. As a mom, it’s pretty awesome to see your kid getting excited about snap peas and mushrooms. This is a simple tap and color app, but it keeps my son occupied for hours. He loves sweeping through the crayons at the bottom of the screen, looking for the exact right shade for the pop color creation in his imagination. Created by TheColor.com, this app offers nearly 100 free designs to color, although it does display lots of “locked” pages that can’t be colored unless you upgrade. For now, though, my little guy is happy with the free pages. It’s so simple and obvious, but my son loves the interaction of clicking in the boxes and passing the phone back and forth with me. Maybe it’s not teaching him math or spelling, but he is learning to be a good sport. (Because, ehem, I don’t let him win.) The only thing I don’t like about this app—developed by Optime Software—is the ads, but so far I haven’t seen any that are objectionable. 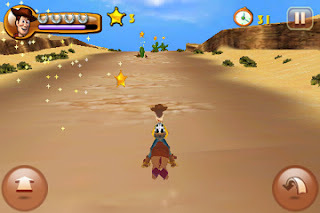 There are many, many opportunities to spend money with this app by Disney Interactive, but there are some fun, free components in this download, including Woody’s Wild Ride, which is pretty much my son’s favorite game. Ever. I am useless at this game (I can barely keep Woody on his horse), but my son is able to expertly pilot Woody through the series of obstacles, and it keeps him going for 10-15 minutes at a stretch. Ride like the wind, Bullseye! 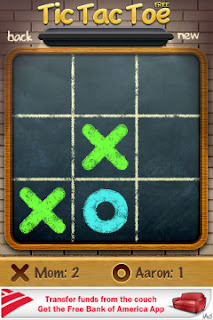 Now it’s your turn: what’s your favorite app for distracting kids from a long wait? Elisabeth McGuirk is a full-time mommy and part-time Disney enthusiast living near Johnson City, N.C. She works on MickeyFix.com, helping fellow Disney fans find all of the Disney stuff they didn’t know they needed. Find your Mickey Fix on twitter @mickeyfix.